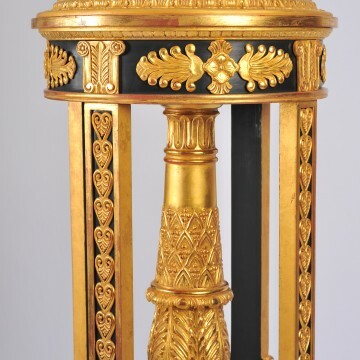 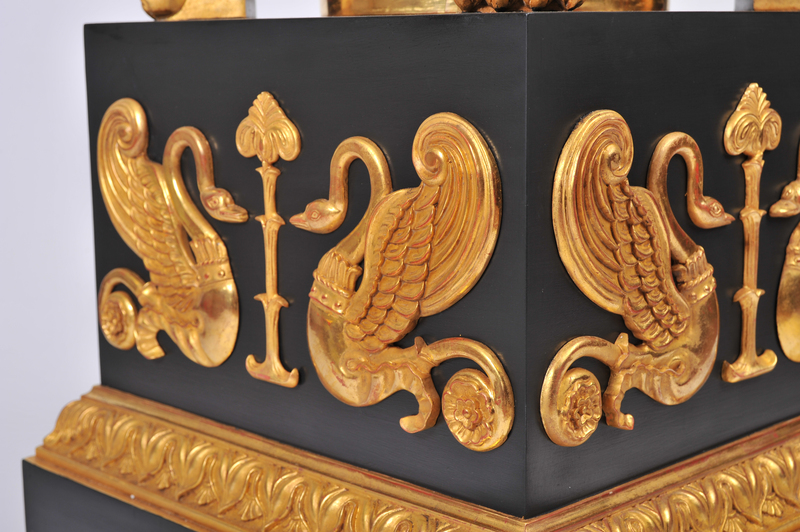 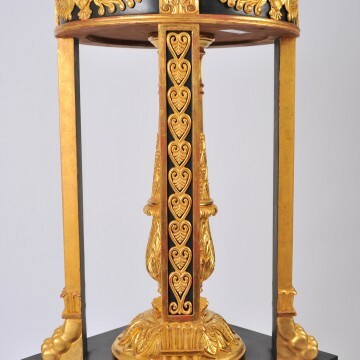 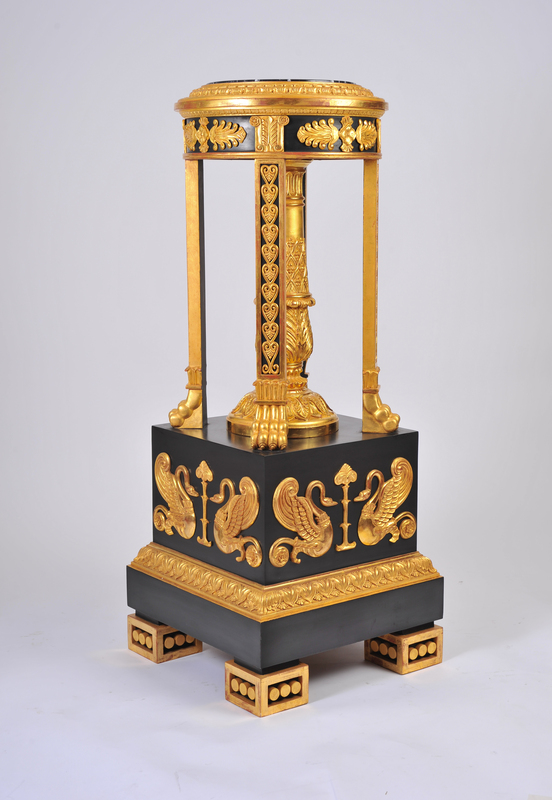 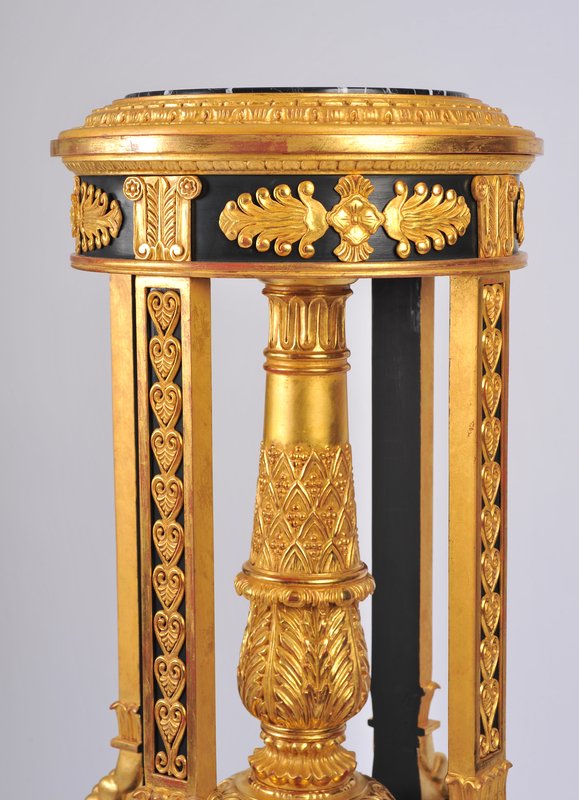 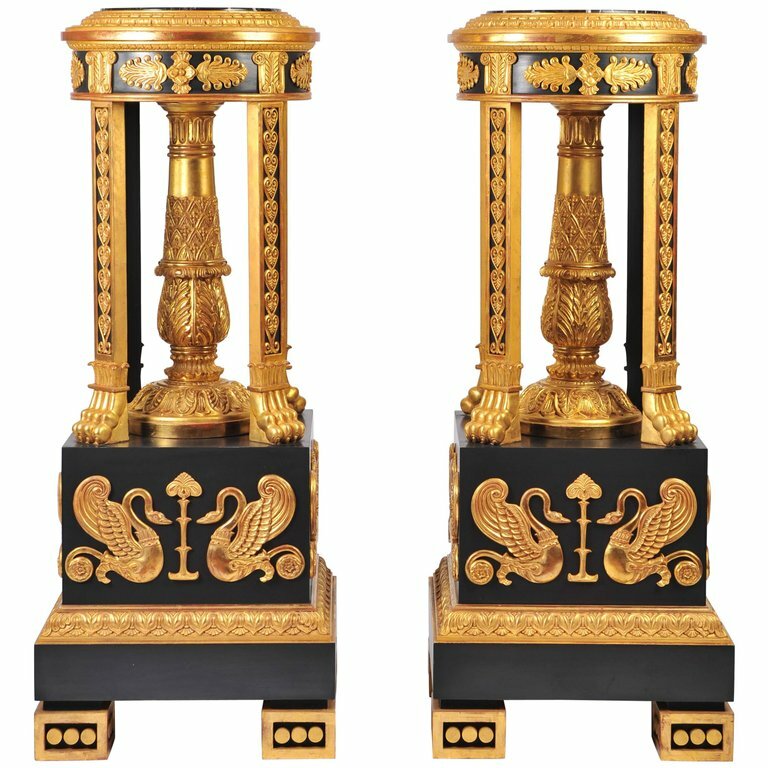 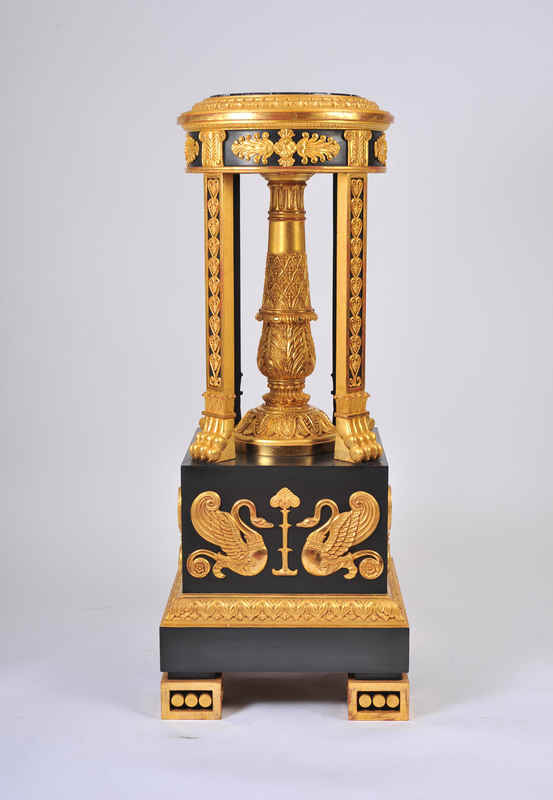 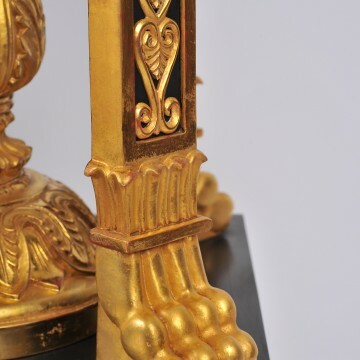 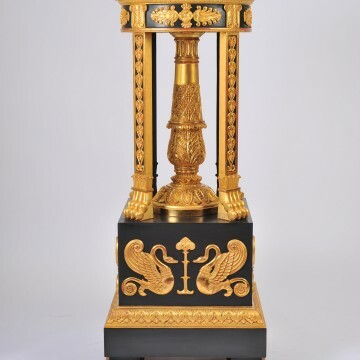 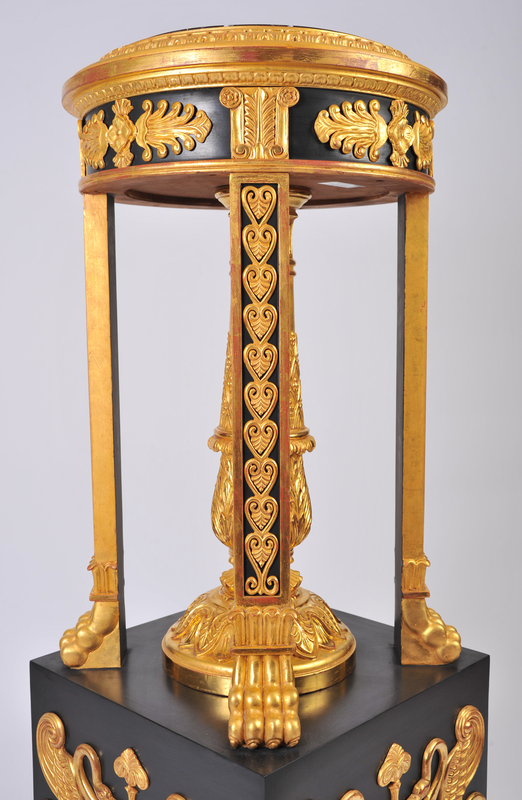 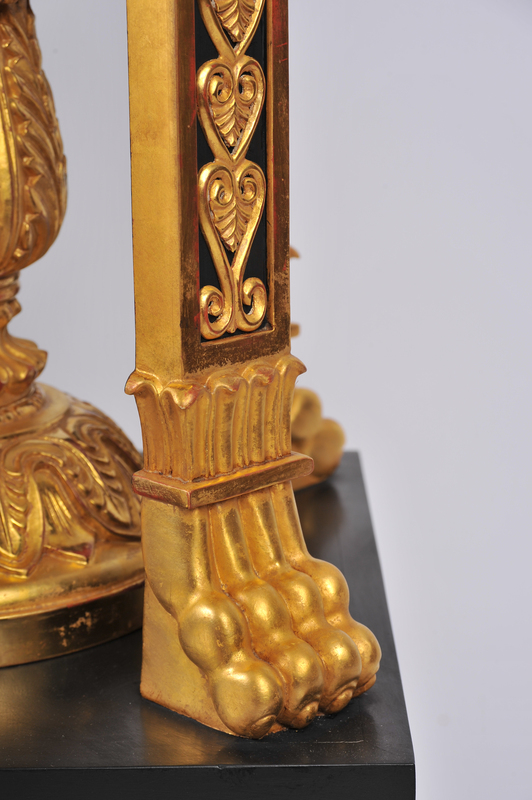 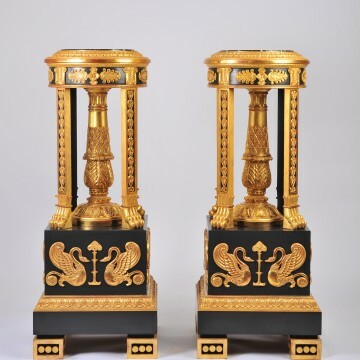 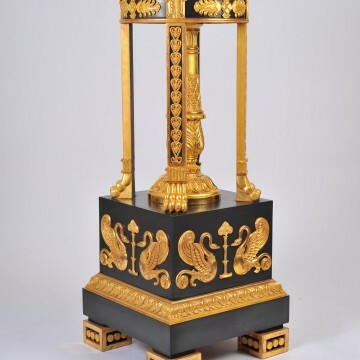 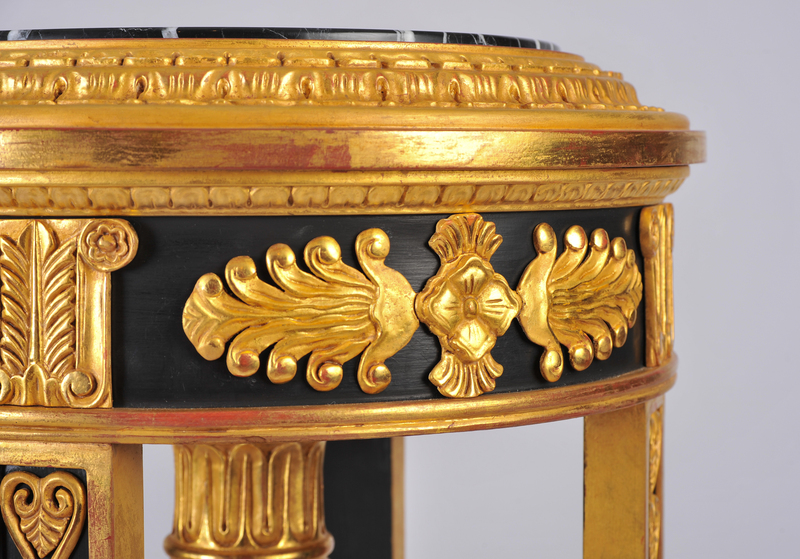 This stunning pair of grand Torchieres feature a highly ornate gilded design on an ebonised base. 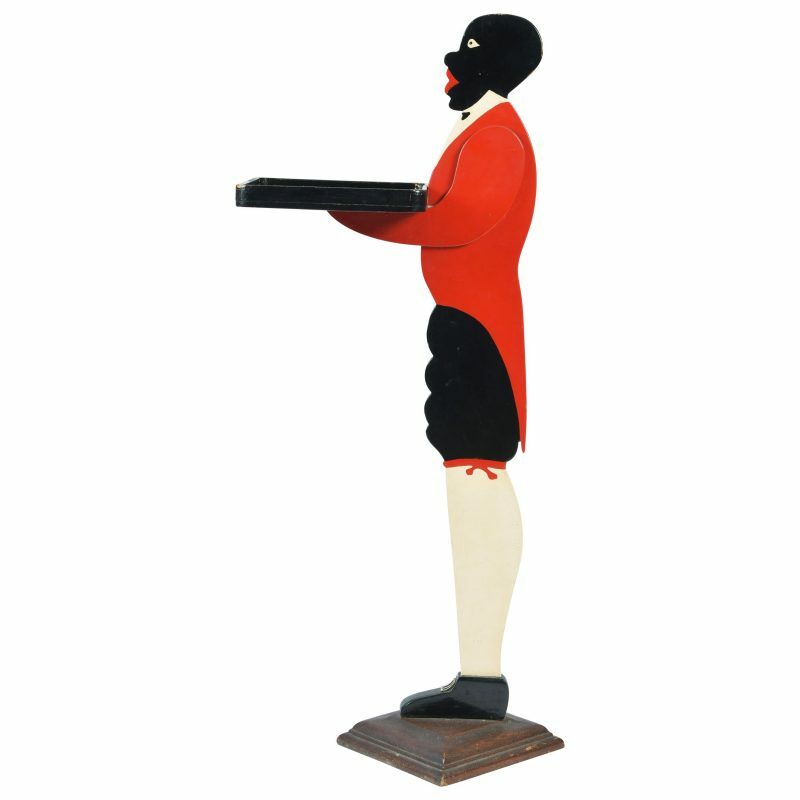 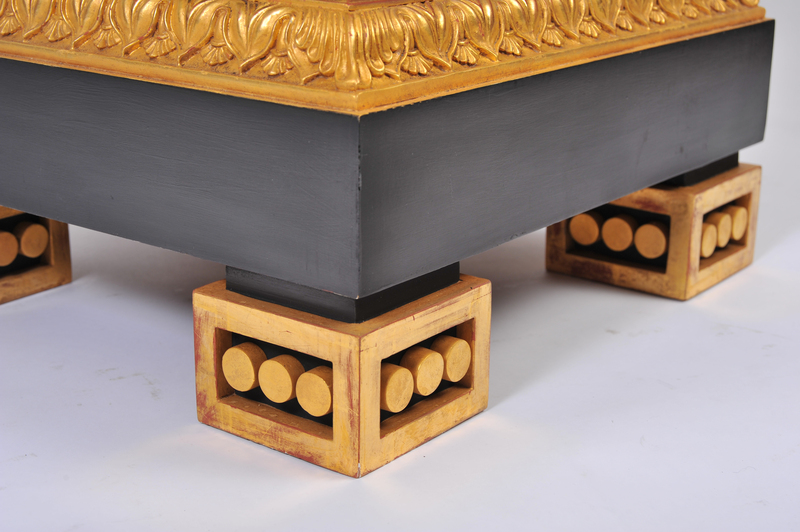 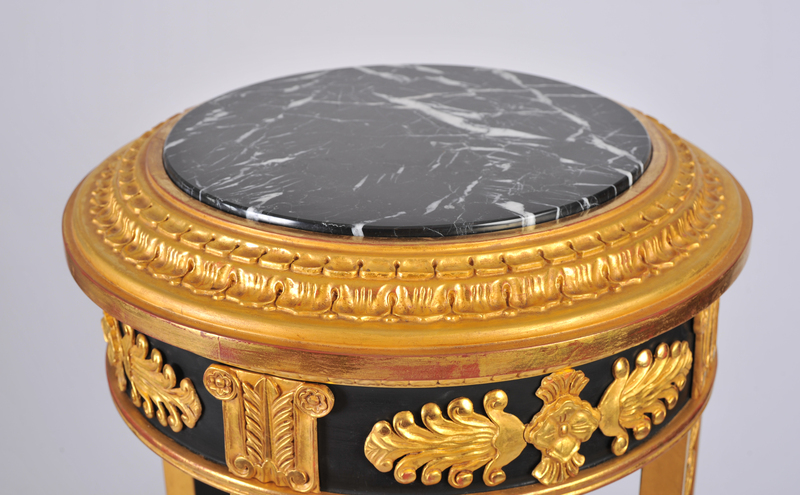 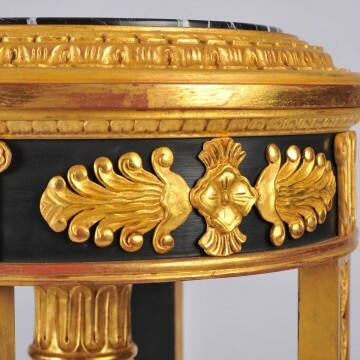 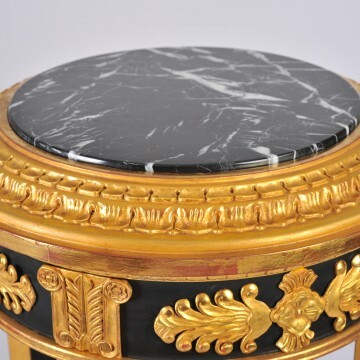 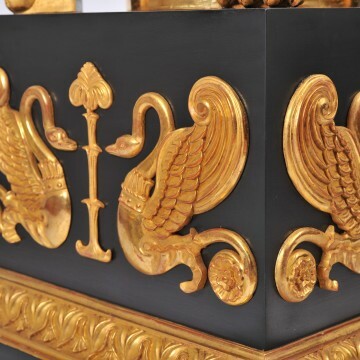 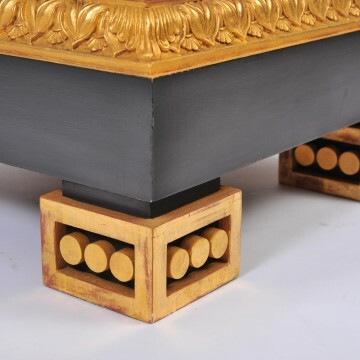 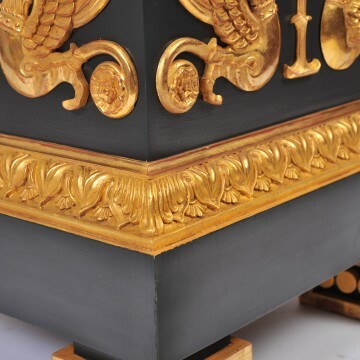 The tops have a round black marble center with a heavily carved border trim and square pedestal bases. 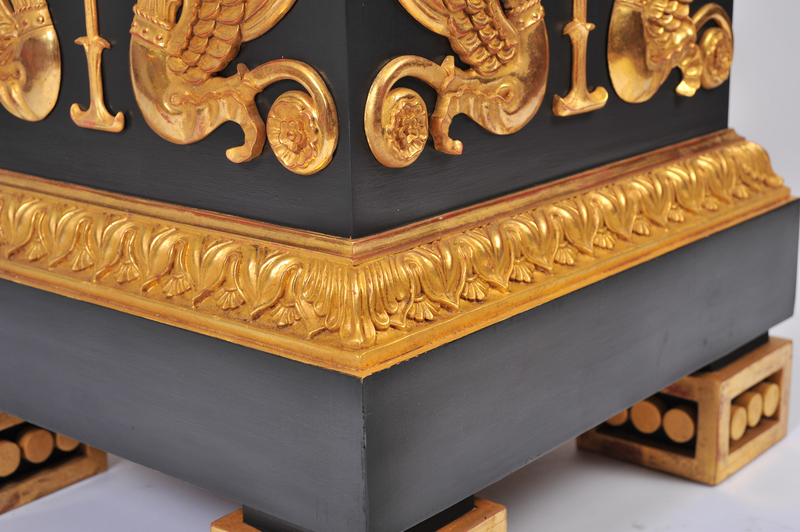 Each torchiere measures 20 ¾ in – 52.8 cm wide and deep, with a height of 51 ½ in – 130.8 cm. 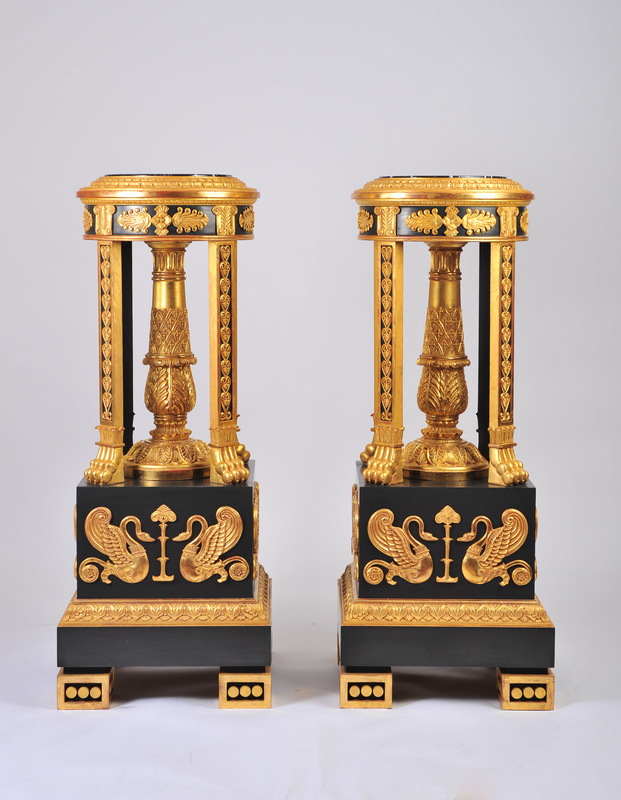 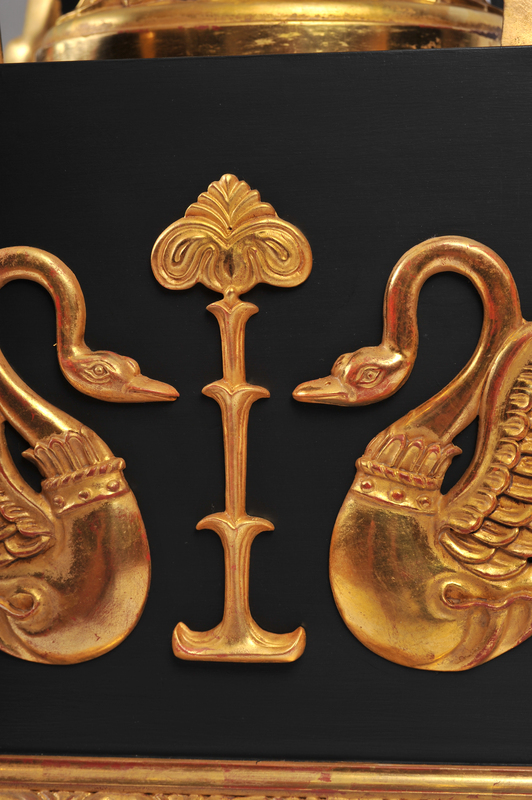 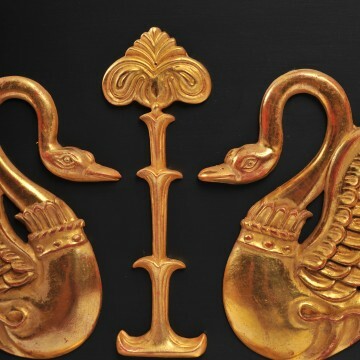 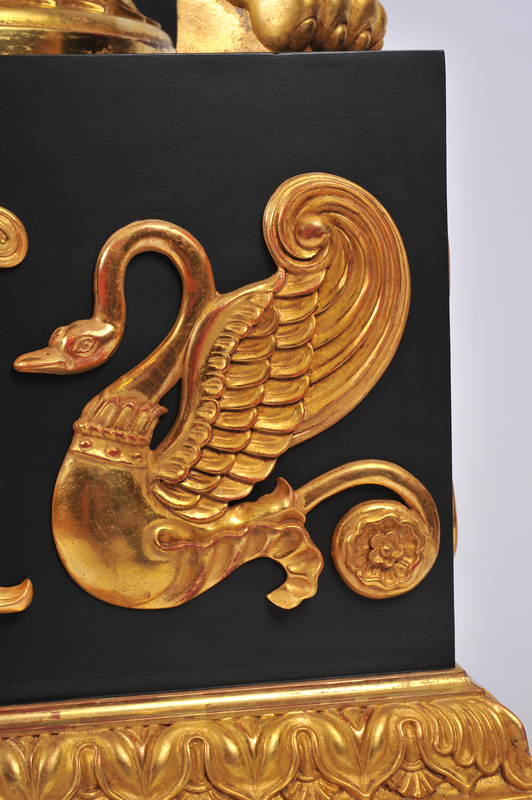 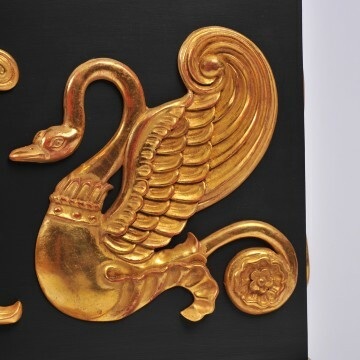 These torchieres would make a wonderful feature piece for a wide range of rooms.